The traditional silhouette of this loveseat is instantly updated with a versatile neutral twill fabric and fashion-forward accent pillows. Impress guests with the comfort and style of this piece in your living room. It features further embellished details with decorative brads on the classic rolled arms, a row of tufting along the front rail, and turned feet in a dark finish. 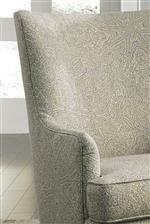 The loveseat's two accent pillows with feather blend inserts add luxury and softness to complete the design. 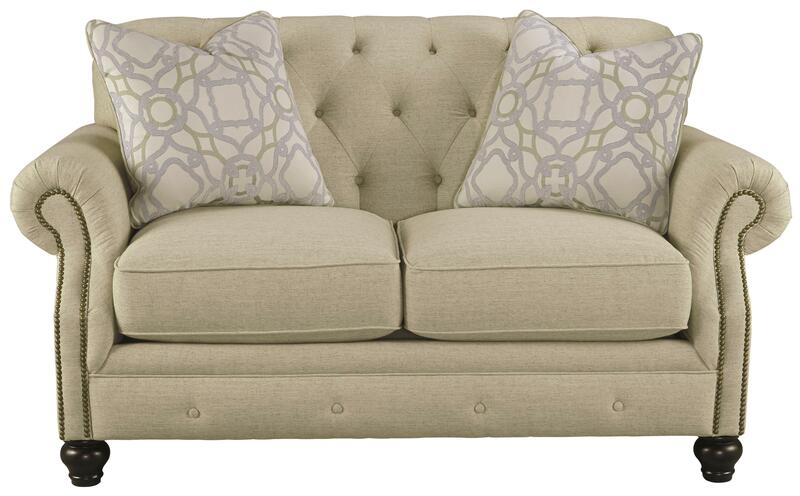 The Kieran Traditional Loveseat with Tufted Back and Feather Blend Accent Pillows by Signature Design by Ashley at Miskelly Furniture in the Jackson, Pearl, Madison, Ridgeland, Flowood Mississippi area. Product availability may vary. Contact us for the most current availability on this product.